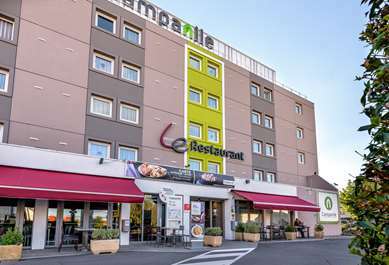 Your Campanile de Toulouse – Labège Hotel Restaurant, situated 20 km from Blagnac airport and 10 km from Matabiau station, is the ideal starting point for going on a business trip and discovering the region of Toulouse. 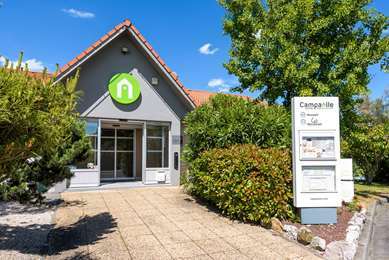 Right in the heart of L’innopole, one of the main business service areas in south-east Toulouse, you will appreciate the proximity of the Diagora Conference Centre, as well as the dynamism of its businesses. Situated close to the A61, our 3 star hotel in Toulouse – Labège is ideally situated for a stopover between the Atlantic and the Mediterranean. Due to its location, the hotel means you can easily go on excursions to some of the most beautiful protected sites: the Historic Fortified City of Carcassonne, the Albi Cathedral and the Cirque de Gavarnie. With its Cité de L’Espace (City of Space) theme park and the Airbus Industrie visit close by, come and enrich your knowledge with your head in the clouds. 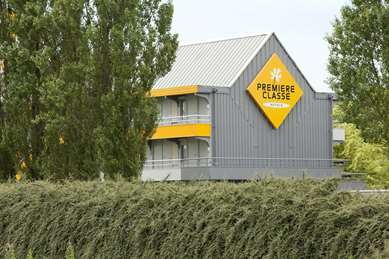 Our hotel in Toulouse – Labège is set in an exclusive location for sports lovers. Close to CREPS, in a green area with a lake that is suitable for both relaxation and physical activity, numerous teams have made their mark there. 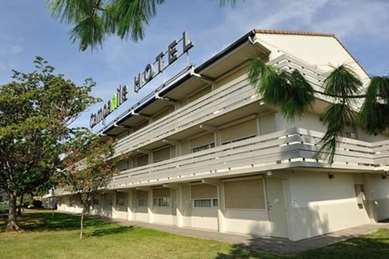 Come and enjoy our 55 air-conditioned rooms so you can get away from it all in the Lauraguais, meandering through the Canal du Midi or discovering the historic centre of Toulouse. 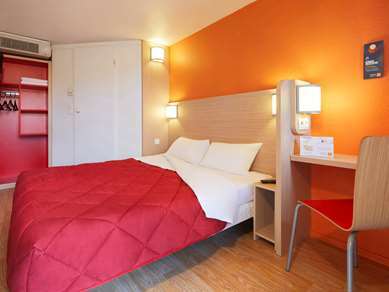 The Campanile de Labège Hotel has a 30 m² meeting room which can accommodate up to 20 people. Pace your meeting properly by including breaks and meals at your convenience in our restaurant. Completely renovated in 2011, our 70-seater restaurant welcomes you 7 days a week, at lunchtimes and in the evenings, in a convivial and warm atmosphere. In the summer, take advantage of our terrace to relax. All throughout the day you can relax, chat or work in our Lounge area, whilst enjoying a drink or a tasty salad. 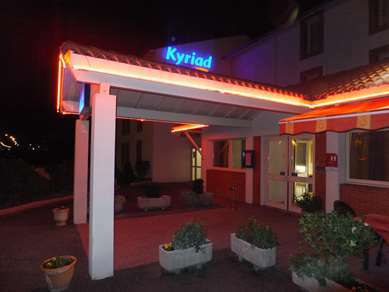 A warm welcome 24/7, free wifi, a shopping centre, cinema and many amenities are close at hand for your maximum comfort. We have 55 comfortable, practical and fully equipped rooms. Depending on your requirements, you can reserve a 3 star double or twin room. Three triple and 8 adjoining rooms complete our offer for families. All our rooms are equipped with a flat screen television with digital terrestrial television, Canal + and Canal satellite channels, air conditioning, free Wifi, desk, telephone, bathtub and shower, hairdryer and a complimentary tray with a kettle, tea, coffee and biscuits. You will also find premium bed linen. 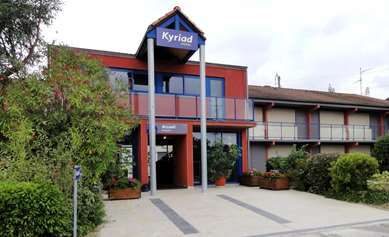 The hotel has 4 rooms which are accessible to people with reduced mobility. For early risers, the restaurant is open from 6:30 to 9 a.m. during the week and from 8:30 to 11 a.m. at the weekend. 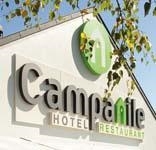 The restaurant at Hotel Campanile is open for lunch from noon to 2 p.m. and for dinner from 7 to 10 p.m.
You can also order room service until 11 p.m. 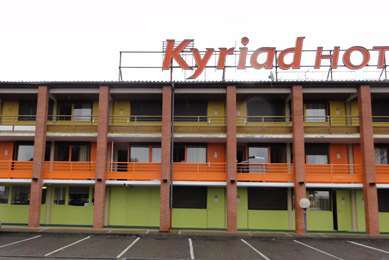 This is better than a motel but it is next to the A61. The noise at night isn't that bad with the blind down. It is pleasant and friendly and worth trying out your French that you were taught years ago! The petit dejeuner is croissant, cereal, fruit, yoghurt, cold meat and cheese - adequate but it won't blow you away. It is buffet and all you can eat though. Beds are good, shower is fine and the wifi doesn't drop out and is free for 24 hours. Stayed here for 2 nights. Room was small but we'll designed. There is free WiFi with good speed. TV in room is good size with plenty of channels. Team and coffee in room. The breakfast is continental all you can eat. Very nice food. Evening meals start at seven. The starter is a help yourself buffet, followed by an ordered main. Then there is the eat all you can dessert. My room was facing a Toll road and another major route that gave plenty of traffic noise. If you shut the metal shutters outside the window, this will dampen the noise.